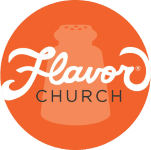 Flavor Church is seeking an anointed and professional individual to fill the position of Worship Leader at our 10:00 AM contemporary worship service. • Musical Ability: The Worship Leader must primarily have strong musical, instrumental, and vocal competencies in both the modern and contemporary styles. They must be knowledgeable of current trends in worship in both the contemporary and modern styles. • Leadership: The Worship Leader must possess strong leadership skills in order to form, sustain, and improve the volunteer worship teams. • Spiritual Maturity: The Worship Leader is not simply a musician but a spiritual leader within our congregation. As such they should be pursuing Christ in their own life, be able to spiritually disciple the worship team, and be aware of and address the spiritual needs of our congregation. They should also possess a theology closely aligned with our church. • Team leader: The Worship Leader will schedule, organize, and lead weekly practices for worship team. • Song selection: The Worship Leader is responsible for staying current with new worship songs, as well as having the breadth of knowledge to be able to effectively select and implement new songs into the two services. • Multimedia. The Worship Leader will work with our multimedia staff to coordinate elements of the service and explore and implement creative visuals. • Organization: The worship leader must possess key organization skills in order to lead the worship team with clarity and purpose, work with our administrative staff in a timely fashion, and integrate their position into the overall life of our church. • Meetings & Rehearsals: The Worship Leader will attend weekly worship meetings & rehearsals as needed. • Order of worship: The Worship Leader will work with the pastoral team in creating, analyzing, and improving the order of worship at our services. • Pastoral team: The Worship Leader will collaborate with and take direction from the pastoral team on a weekly basis. They should be someone who is excited by a culture of continual improvement. Flavor Church is seeking a gifted and professional individual to fill the position of “Keyboardist” at our 10:00 AM contemporary worship service. • Musical Ability: The keyboardist must primarily have strong musical and instrumental competencies in both the modern and contemporary styles. They must be knowledgeable of current trends in worship in both the contemporary and modern styles. • Rehearsals: The keyboardist will attend weekly rehearsals. • Must be prompt and should arrive at least 30 minutes prior to each scheduled service. 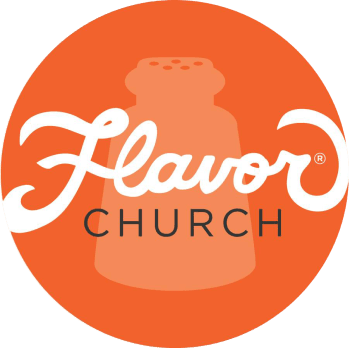 Please Note - Flavor is a brand new church just getting started. However, if you're willing to grow with us in the grassroots stage, we will definitely make it worth your while as we begin supernaturally sprouting.